Many people prefer to avoid thinking about their credit score after being discharged from a Chapter 13 Bankruptcy. They assume that the bankruptcy will have done irreparable damage, and that it is useless to put effort into repairing their score. It is true that a bankruptcy can stay on your credit report for ten years, and it is true that a bankruptcy damages a person’s credit score. However, not filing for bankruptcy with major amounts of debt can do the same amount of, if not more, damage to your credit score. So once your bankruptcy has been filed, how do you fix your credit score? Credit repair is a long process that requires patience and determination. A Chapter 13 Bankruptcy can stay on a credit report for seven to ten years, but it can seem like a lifetime of bad credit– even if you pay off the debt early in your payment plan. One of the major keys in credit repair is to check your credit report regularly. While there are free credit monitoring services like Credit Karma available, consumers are entitled to a free and complete credit report every year from each of the credit reporting agencies. These can be obtained through annualcreditreport.com (the only authorized website for free credit reports), or by calling 1-877-322-8228. Once you have your credit report, make a list of all the debts that you have, and what the status is on each one. Make sure that details like addresses and name spellings are accurate, also. This is why the regular credit reports are needed, as you will need to make sure that payments are being reported in the correct amounts. Even a small mistake can lead to huge issues later on when you are trying to rebuild your credit. The next step after bankruptcy is to start to reestablish credit as soon as you possibly can. Many people believe that they need to wait the 7 or 10 years for the bankruptcy to be removed from their credit report before they start fixing their credit. However, they can start credit repair right after the bankruptcy is finished being filed. One of the major problems you may encounter is if none of your accounts are over 10 years old, as these accounts have already been removed from the scoring system. This can mean a bankruptcy would be reported, so you have the same credit score as an 18-year-old with no or very little credit history. Applying for credit very soon after the discharge of the bankruptcy will be crucial to start the credit repair process. Some common ways that people rebuild their credit is by using secured credit cards, store credit cards, and car loans. These options are favored because they have lower requirements to qualify for the credit. Credit cards may seem like a great idea, and after you file for bankruptcy, your mail box may become full of them. While you would think that you are too much of a risk to have a new credit card, banks know that you are not going to be able to file again for at least 3 years. The rates of these credit cards are full of fees and high-interest rates. Make sure to read all the fine print before signing for the card. Bankruptcy can seem like the end of the world, as it does so much damage to a credit score. However, with time and effort, rebuilding credit is possible. Remember that after 7 or 10 years the bankruptcy will fall off your credit report, and the work that you did after the bankruptcy will remain on it. On behalf of The Law Offices of Sutton & Sutton on Thursday, August 2, 2018. You may be in a situation where you need to file for bankruptcy. It can be frightening to think about, and you do not want to get yourself in that position. Many people who file for Chapter 7 or Chapter 13 bankruptcy do not understand the most common reasons for bankruptcy. Over time, they find themselves unable to keep up with bills and payments due to unfortunate circumstances and struggle to get back on their feet. 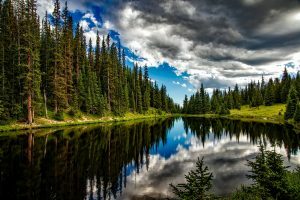 Here are 5 Reasons for Bankruptcy in Colorado? Medical expenses are the most common reason for bankruptcy. You or your family member experiences an incident, such as a car accident, that causes damages and you could be left paying the bills. Diseases and other serious illnesses cause cost hundreds of thousands of dollars, and your insurance may not offer much help. These are examples of unexpected and unfortunate situations that can cost you nearly everything. You might be laid off for a variety of reasons. However, you did not plan for any of it, and you have been left with no job and no way to pay your bills. Depending on your situation, you might not be able to get a job quickly or one that pays enough for you to catch up. This could leave you struggling living pay check to pay check and taking from savings accounts that you do not want to. Using a credit card can catch you off guard if you do not use it carefully. It can be easy to use it for larger purchases and put off making payments. Not making payment can cause your payment to get bigger as interest or late fees are added. Being cautious of what you purchase with a credit card and making monthly payments can help avoid financial consequences. A divorce can be time consuming and expensive. Attorney fees and splitting of assets could give you unwanted debts or payments. This can be especially true if you and your ex-spouse have co-signed loans or joint bank accounts. If you had put your career off to the side during your marriage, you might struggle with finances and finding work. This may result in filing for bankruptcy to help get you back on your feet. While medical issues are not something you can plan for other events like a natural disaster or freak accident, could set you back. A major storm such as a tornado or hurricane could cause serious home and auto damages. Having insurance can help in these situations, but it may not always cover everything. Whether or not filing for bankruptcy is in your future, you can be aware of situations that could escalate to the point of bankruptcy. If you are considering bankruptcy and believe it is the best option for you, speaking with an attorney can help you make that decision and begin the process if necessary. Whether you face credit card debt, or other types of unsecured debt. It is possible to get debt relief without filing for bankruptcy. Filing bankruptcy may represent the best alternative to gain financial control over your life. However, an experienced Queens debt relief lawyer can often help you find other alternatives. Even for secured debt, like home mortgages. The recent economic crisis put countless families in a position where they could no longer afford to make their mortgage payments. Consequently they were unable to stay in their homes. Others continue to make their payments. Even though the mortgage balance exceeds the value of their homes (known as underwater mortgages). Situations like these may benefit from one of the federal Making Home Affordable programs. However, regardless of whether you need alternatives to repay secured debt, or if you believe you can fully repay unsecured debt with a little cooperation on the part of lenders, obtaining knowledgeable legal assistance can make a vital difference to your success. Experienced Queens debt relief lawyers can often negotiate on your behalf with lenders to reduce interest rates or extend payment terms. This allows you to handle your loan without adversely affecting your credit rating, or going through a stressful bankruptcy process. All too often, lenders do not show a willingness to work directly with you, even if their support puts the money you owe back in their pockets. However, their attitude usually changes when an attorney intervenes on your behalf. It would seem obvious that an attorney who has been practicing for 25 years should know more than an attorney with only 10 years experience. However, that is not always the case. There are some attorneys who have practiced bankruptcy law for many years, but have never really mastered the subject. There are other attorneys who have pursued a general practice, filing a case now and then. If they have been practicing for 25 years without much in-depth experience in bankruptcy, that does not translate to the expertise you need. Tip #1: Look for an attorney with many years experience in consumer and small business bankruptcy law, who enjoys the respect of other bankruptcy attorneys, the trustees, and the judges. After an attorney graduates from law school and passes the state bar examination, then the real learning begins. Even when there are not many new laws being passed on a particular subject, attorneys improve their skills by attending educational seminars. Now, with the enactment of a completely different bankruptcy law, education is an absolute necessity. So many basic concepts under the prior law just don’t work anymore. The new law is so complex, an attorney is making a big mistake if he or she thinks they can understand it by just reading it. There is only one organization that is devoted to training attorneys who represent debtors. The name of this organization is the National Association of Consumer Bankruptcy Attorneys (NACBA). The NACBA held two-day workshops in Chicago, and Orlando to teach attorneys how to practice under the new law. More than 3,000 attorneys crunched numbers, filled out worksheets, and learned the new concepts necessary to practice under the new law. Tip #2: Is the attorney a member of NACBA? Did the attorney attend NACBA educational events? An attorney who tells you what you should do before he or she listens to the details of your case is not the right attorney. Unfortunately, some attorneys have a “cookie cutter” approach to legal advice. Where they completely ignore the true difficulties or opportunities that your case may present. Tip #3: You want an attorney who will listen to your facts and ask the right questions so s/he will truly understand your case. Tip #4: Your attorney should listen to you and then consider your specific facts in the context of the law. Only by doing that will s/he be able to give you the advice you deserve – good advice. HOW CAN YOU GET QUALIFIED TO BUY A HOME WHILE YOU ARE IN CHAPTER 13 BANKRUPTCY ? Yes, you can buy a home while you are in Chapter 13 bankruptcy. Here is how that can happen. 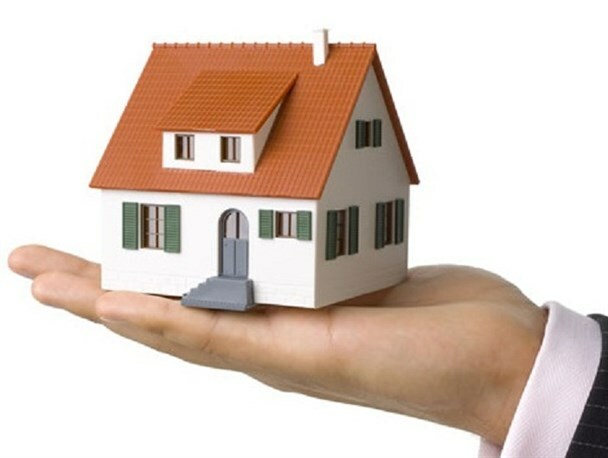 First, a debtor must actually speak to a prospective lender and get qualified for the desired home loan. The lender must qualify or approve the bankruptcy debtor. A Chapter 13 bankruptcy does not disqualify a borrower from obtaining an FHA mortgage. Provided the lender documents that one year of the payout period under the bankruptcy has elapsed and the borrower’s payment performance has been satisfactory (i.e., all required payments made on time). In addition, the borrower must receive permission from the court to enter into the mortgage transaction. Next, as noted in the guidelines above, the debtor must obtain permission from the bankruptcy court to incur the debt to buy the home. Normally, approval to incur debt is sought by filing a motion with the court that supports the request. A hearing on the motion might not be scheduled for up to 45 days. Therefore, a debtor should not wait until the last minute to obtain approval. Will they receive less/more/same money? As a general rule, if there is no harm to the creditors, the court will approve the request to incur debt to buy a home. This scenario normally occurs when the house payment is close to the current rent payment, i,e., housing costs are about the same and there is not harm to creditors. If, on the other hand, a debtor wants to incur debt where the house payment would be $2,500 and the current rent is $1,250, the debtor can expect an uphill battle for the court’s approval unless there are some other helpful circumstances. HOW LONG DOES COURT LOAN APPROVAL TAKE? A debtor should let their attorney know immediately that they have qualified for a home loan. Your next step will be to seek approval to buy a home while you are in Chapter 13 bankruptcy. A debtor can expect that once they have ALL the necessary information to their attorney to analyze, a motion can be normally filed within a week or two. The hearing on the motion might take as much as 45 plus days. Therefore, again, do not delay. Ever Wonder Who is Filing for Bankruptcy? Our team here at Chapter 13 Guru wants to let you know that you are not alone in this process. Many people from across the country are filing for bankruptcy, and many of them can feel as lost as you. Take a few minutes to read over our outline and see for yourself that you are not alone when filing for bankruptcy. Living within a budget can be a challenge even for the most financially savvy consumer. For those who file a Chapter 13 Bankruptcy, living within a budget takes on a whole new meaning. The payment plan must be cost-effective to the debtor so that they can keep up with the schedule of payment with the bankruptcy being dismissed. The trustee of bankruptcy would not desire to set a debtor up for failure, and he/she will be working with a bankruptcy lawyer to come up with something fair. After the payment plan has been agreed upon with the debtor, creditors, and the bankruptcy trustee, the bankruptcy court will officially approve it. After the filing of bankruptcy under Chapter 13, the bankruptcy trustee will be the one to pay your debts, and your first payment will be due will be thirty days after filing the case. In many districts, the trustee will send out a letter to the debtor to disclose all of the payment information, including when and where to send the payment. When filing, you will have to provide a proposed repayment plan, the most recent year’s tax return, a certificate of credit counselling, a detailed list of expenses, and proof of your income. There are priority payments made to mortgage creditors, and other secured creditors like child support debt and back taxes. As soon as the plan is approved by the bankruptcy court, the trustee will start to pay out the funds that you send in accordance with the plan provision. If issues arise that cause a decrease in your budget and you are unable to pay, you should contact your attorney and your trustee immediately. If the financial setback is temporary, the trustee can arrange to have the amount of your payment reduced or to get the repayment period extended. If your inability to pay seems to be a more permanent status, your bankruptcy may be converted to a Chapter 7. Chapter 13 Bankruptcy provides an opportunity for individuals to retain their property and make a fresh start. When making a payment plan, it is important to arrange reasonable Chapter 13 payments in order for the debtor to make payments on time. This type of bankruptcy can be a powerful tool to use for reorganizing your debt and maintaining ownership of your property. To find out more about how a Chapter 13 payment plan is devised, click here.